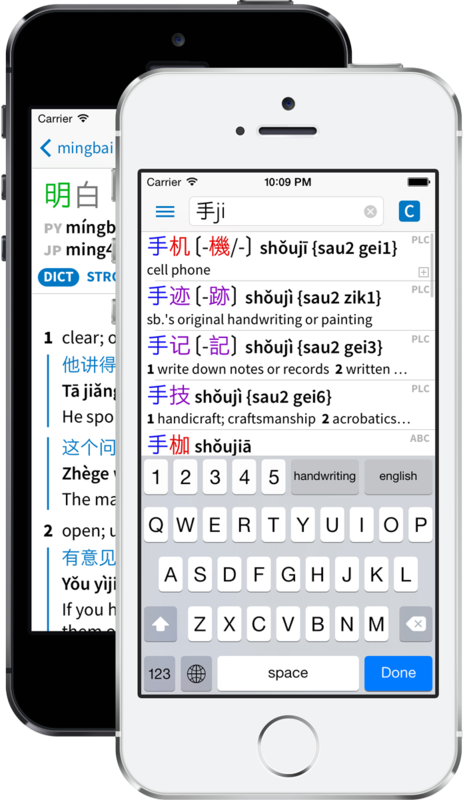 And much more - we are Pleco Software, purveyors of ridiculously awesome Chinese language reference and learning apps for iPhone, iPad, and Android. Look up unknown Chinese words ‘live’ using your device’s camera, or tap-lookup words in a still image. Look up words by drawing them on the screen; very accurate and tolerant of stroke order mistakes. Huge and growing collection of licensed dictionary databases, including titles from Oxford, Longman, FLTRP, and many other major publishers. Recordings from two different native speakers for 34,000 Mandarin words, with speech synthesizer (for sentences) and Cantonese support as well. Insanely powerful / customizable system, making it extremely easy to add new flashcards from dictionary entries or import pre-made vocabulary lists. Look up words in a document simply by tapping on them; supports TXT/EPUB/DOC/PDF files and web pages on iOS, TXT/PDF files on Android. Android-only; look up Chinese words in any app on your device by tapping on a floating button. We use a custom-built database engine so fast that it can search and process results from a dozen different dictionaries before you’ve finished lifting your finger off the screen. We’ve been in business for 17 years, and offer free compatibility updates whenever possible; we have users who bought the Pocket Oxford Chinese Dictionary from us for Palm Pilot in 2001 and are still able to use that same purchase on their brand-new iPhone 7 or Samsung Galaxy in 2017 without ever having had to pay an upgrade fee. Copyright © 2019 Pleco Inc.